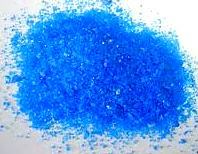 This is an easy way to produce copper sulphate either at home, at school or in a laboratory. Please note: As you will be working with hot water it is important that children are supervised at all times. 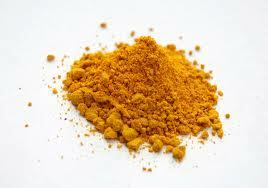 Using gloves and goggles add sulphuric acid to copper carbonate or copper oxide until no more dissolves. You will know when you have added enough as no more gas will be produced. Filter the solution through the filter paper in a funnel onto an evaporating dish. Heat the solution gently over a bunsen burner until most of the solution has evaporated and allow to cool. crystals of copper sulphate will start to form on the dish. Always wear appropriate personal protection equipment when handling sulphuric acid as it is very corrosive.